New York, NY The 2018 Jury of Fellows from the American Institute of Architects (AIA) has elevated Ismael Leyva, FAIA, president of Ismael Leyva Architects, to its College of Fellows, a select honor awarded to members who have made contributions to society and the profession of architecture, acknowledging his passion and dedication to excellence. “It is a great privilege and honor to receive this recognition by the Jury of Fellows and to be among a group of accomplished colleagues that have contributed to society through architecture. I look forward to many more years of practice adhering to the highest ethical and professional standards of this profession,” said Leyva. 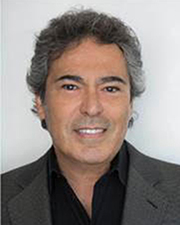 Ismael Leyva Architects, has become an internationally recognized architectural, urban planning and interior design firm that is renowned by the development and construction industry for its uniquely creative, iconic, and practical design. Some of the prominent designs Ismael Leyva Architects is known for include The Greenpoint, The Charles, Icon, Place 57, 152 East 87th Street, 196 Orchard, and 515 West 39th Street in New York, as well as Torre Las Americas and Torres Paseo Colon in Latin America. The fellows will be honored at a ceremony on June 22 at the AIA Conference on Architecture 2018 in New York City.